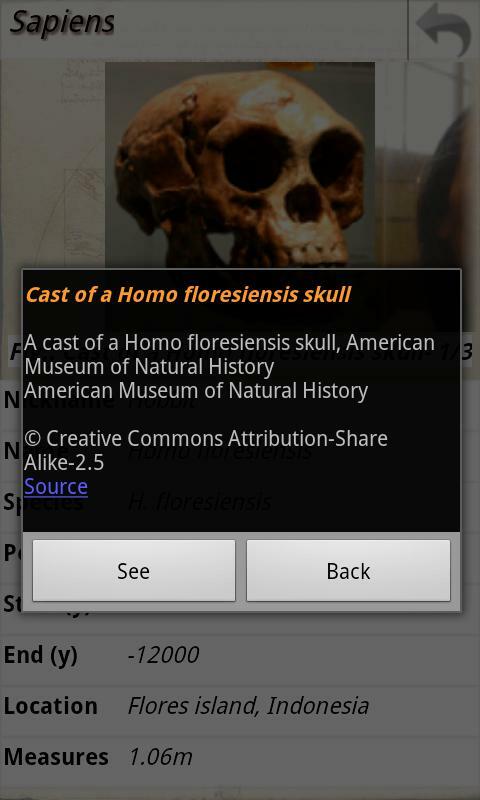 Sapiens for “Human evolution” is an Android application. 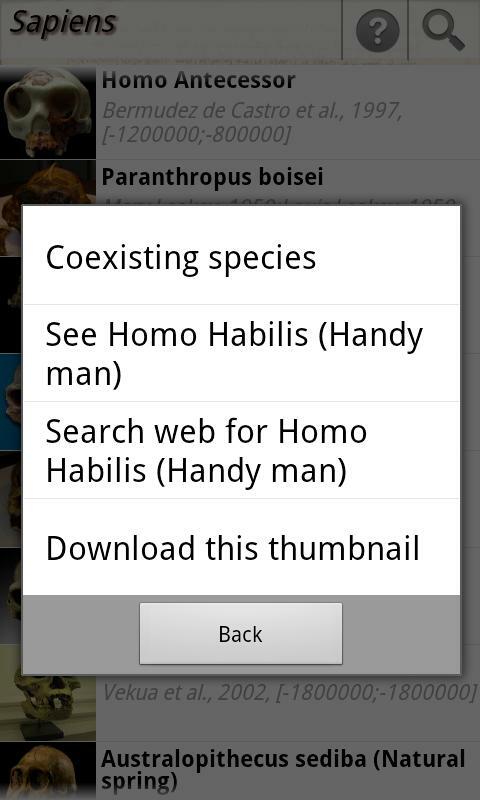 With Sapiens discover human History with the human evolution frieze at your fingertips ! 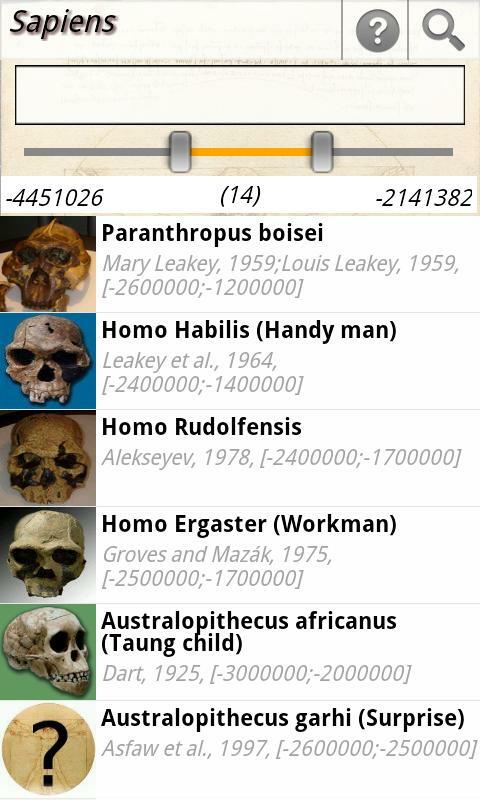 See more than 80 fossils of ancestors from 7 millions years old to recent human species (sapiens sapiens) …in your palm. 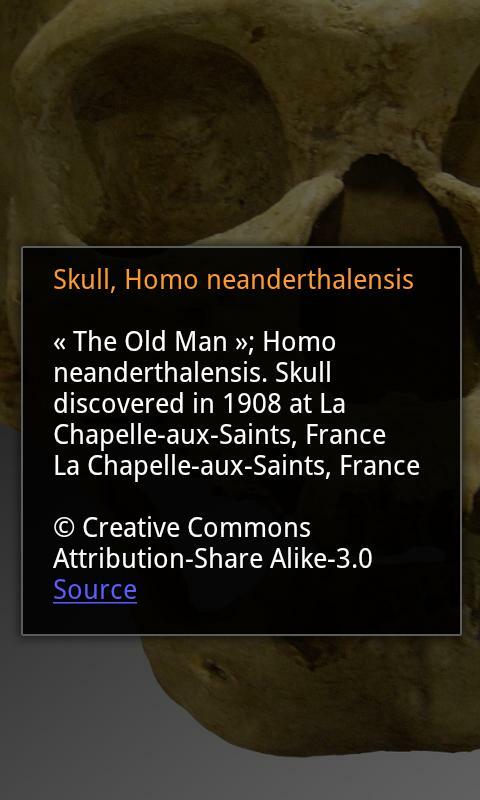 Sapiens brings a piece of archaeology, paleontology, anthropology and world History with an easy tool: your mobile phone. Become a hunter with our timeline frieze to see overlapping temporal range between extinct species and coexisting species. 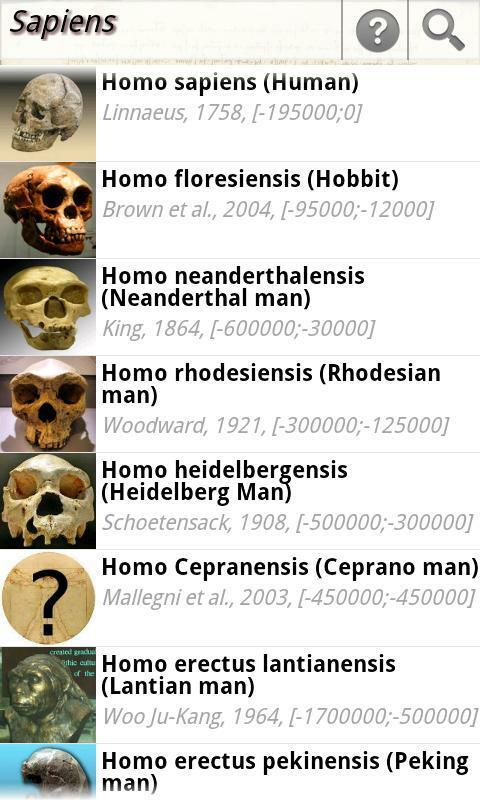 See genus from homini, Australopithecus, Paranthopus, to proto-humans and humans ! 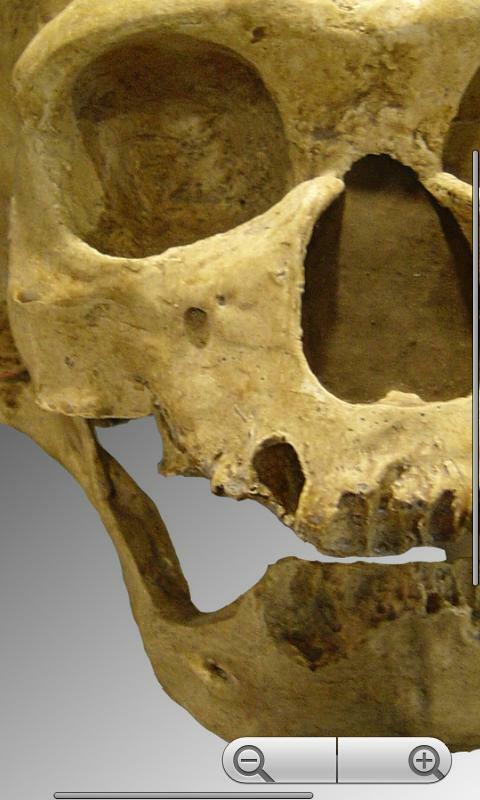 more than 80 fossils available (…bones, skulls, skeleton and more coming soon) ! quick search within temporal range, scientific classification, species, dates, location, discovery, measures …and see items as you type, instantly ! …and more features are incoming ! 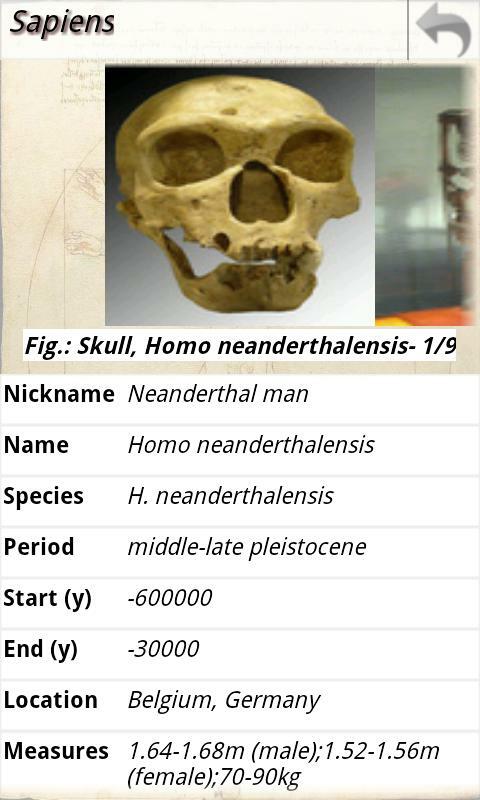 See fossils of Handy man (homo habilis), Workman (ergaster), Heidelberg Man, Lantian man (erectus), Peking man (erectus), Neanderthal man, Rhodesian man, Hobbit (floresiensis), Lucy (Australopithecus afarensis), Abel (bahrelghazali), Taung child (africanus), Black skull (paranthropus aethiopicus), Flat-faced man (kenyanthropus platyops), Toumaï (Sahelanthropus tchadensis), Ardi (ardipithecus). Contact us for any suggestions, ideas, issues.